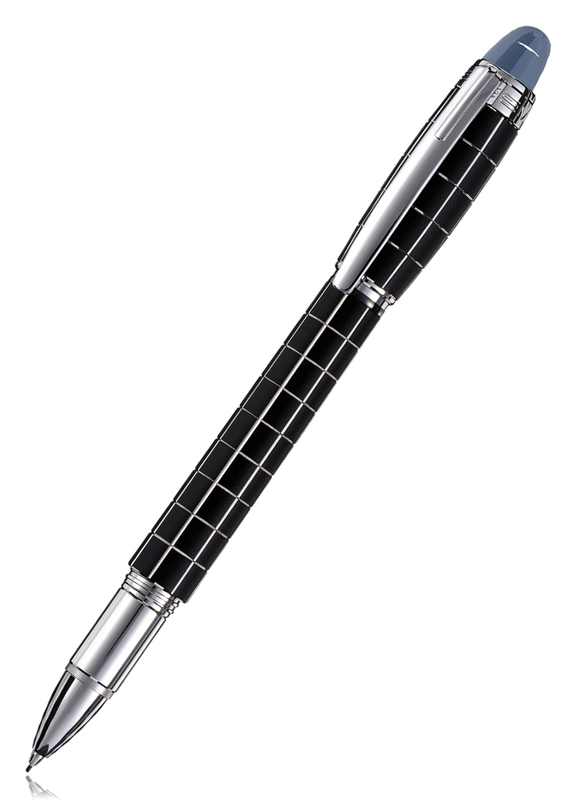 Mechanical pencil with twist mechanism. 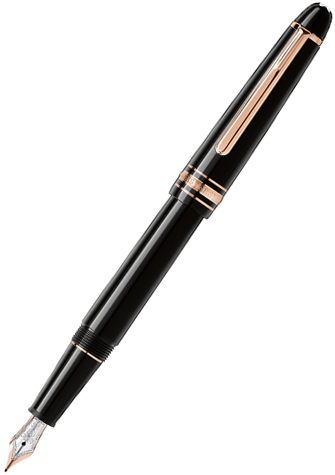 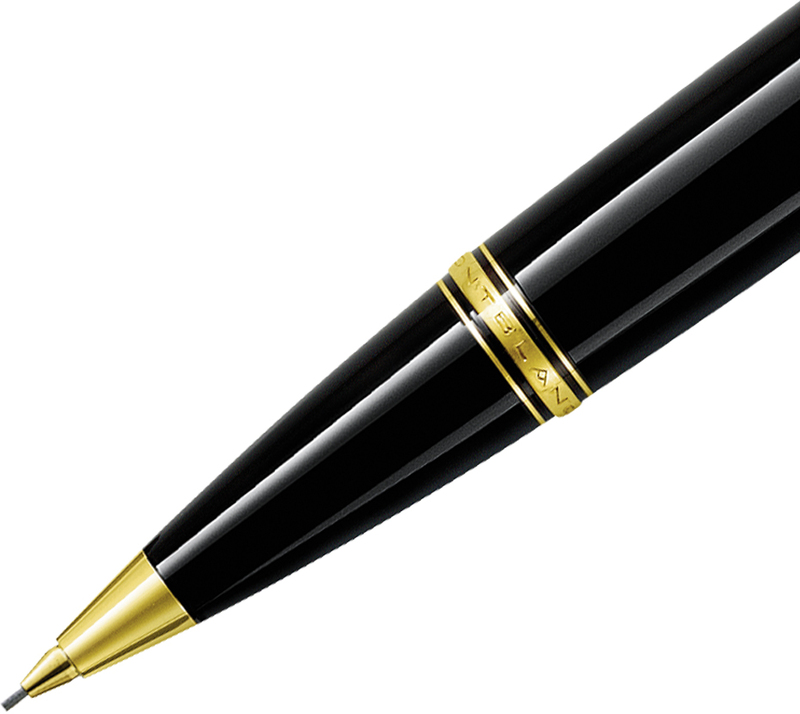 0.9 mm lead, barrel made of black precious resin inlaid with Montblanc emblem. 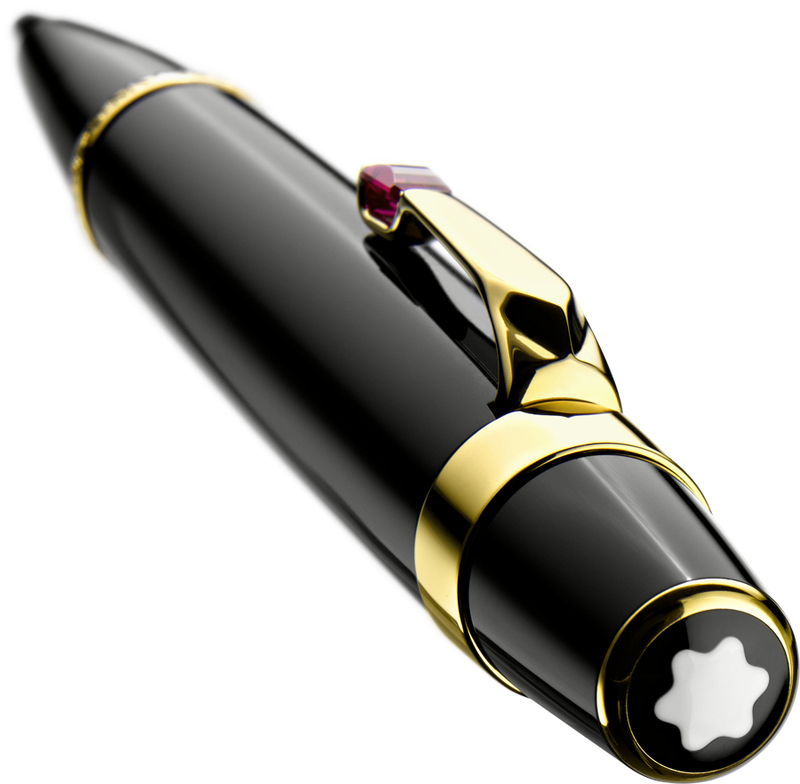 Gold-plated rings and clip set with a synthetic ruby-coloured gemstone.